Providing you the best range of picture book of english reading, picture dictionary and rhymes & stories with effective & timely delivery. 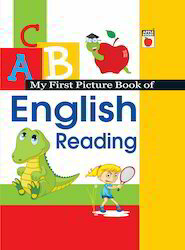 We have emerged as a foremost exporter of Picture Book Of English Reading. Our offered picture books are designed with high quality paper & printed with high quality of inks. The provided picture books are demanded in the market owing to its attractive printing, correct content and strong binding. Also, these picture books are completely checked by well-informed experts to ensure correct contents. Our rich industrial experience supports us in offering Picture Dictionary. The offered picture dictionaries are made up of using top quality paper & best ink is used for printing purpose. Along with that, these picture dictionaries are checked by quality experts in order to deliver a defect free range from our end. We provide these picture dictionaries in customized printing & sizes according to the requirements of customers. 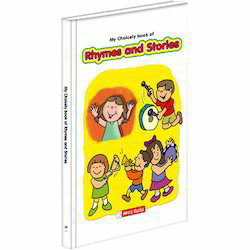 With the assistance of vendor’s dexterous professionals, we are engaged in offering Rhymes And Stories. Our books are printed at vendor’s end using the top quality ink and optimum quality of paper along with modern machines. Offered books are checked by experts on numerous parameters so as to ensure its quality before dispatch. These books are accessible in various sizes, printing & customized options according to the requirements of clients. Looking for Hard Bound Series ?